In January, a delegation from HART visited its partners in Sudan and South Sudan to assess the situation from the ground. A comprehensive report of findings was published upon its return, which set out the shocking details of the ongoing state of internal conflict both countries have been embroiled in since a resurgence of violence in 2013, two years after South Sudan’s secession. It has emerged that, as well as internal fighting between ethnic groups, the Government of the Republic of Sudan has launched a brutal attack on civilians in response to uprisings of organised rebel groups such as SPLM-N. The corrupt nature of the government makes it difficult for NGOs such as HART to offer substantial assistance to the conflict stricken areas, such as Blue Nile and South Kordofan states, where, according to HART, the population remains ‘isolated’ and in ‘dire need’. So far there has been no ground breaking political evidence that either party wishes to achieve a peace agreement in the near future, despite encouragement from the United Nations and African Union. Perhaps as a result of this, the current focus seems to be humanitarian mediation as opposed to political. It has been identified time and time again by international organisations such as the FAO that Sudan requires urgent humanitarian aid in all forms, and HART’s findings prove no exception. With this in mind, this piece focuses on one humanitarian situation that has been particularly exacerbated by the constant infighting – food insecurity on Sudan’s border. In honour of the recent UN ‘Zero Hunger Challenge’ launched last year, it will look at what the challenge entails, and how famine has become a weapon with which to terrorise the masses. What is the Zero Hunger Challenge and how is it relevant here? (All this information and more can be found at the official UN website for the Zero Hunger Challenge, here). So far, the issue of food security has been well publicised by international media, with the help of the FAO. We have also seen a host of governments launching the programme within their own country, as well as organisations closer to home (such the Humanitarian Centre in Cambridge) prioritising the topic via publicity campaigns of their own. The volatile nature of the government of Sudan is internationally renowned, particularly when it comes to how it handles food resources. The ruthless approach Sudanese President Al-Bashir adopted to crush opposition since secession has resulted in turning the authorities against its own people. The Sudanese Armed Forces (SAF) have been engaged in armed attacks against Sudanese residents of the South Kordofan and Blue Nile states since violence erupted between rebel group SPLM-N and the government in 2011. Assaults on citizens occur principally in the form of air bombings by Antonov aircrafts. The HART report tells us how the Antonovs target harvests and food stores, to ensure the supply remains at a critically low level. So far, the aerial bombardment appears to be having the desired effects, across all aspects of civilian existence. Daily life has been brought to a stand-still by the overwhelming destruction. Any development or progress has been halted by the unyielding threat of bombing. 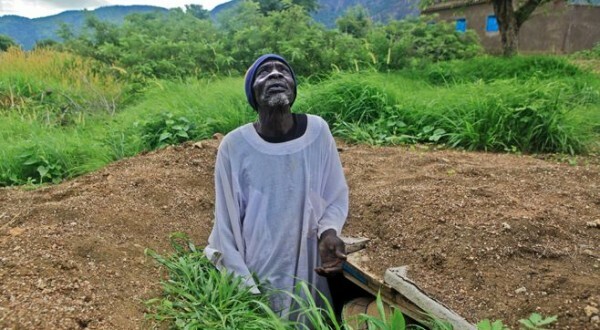 One eye witness story in the report really seems to sum up the dilemma farmers face: we hear how, when a farmer makes any attempt to cultivate crops, an Antonov chases him away from his field almost immediately. This constant SAF intervention means that there is little that the starving population can do about their situation. In conjunction with the bombing, indirect factors akin to a country crippled by conflict mean that there is a constant struggle to access food. Limited movement, travel, and economic opportunities make it difficult for food markets to survive in such an environment. 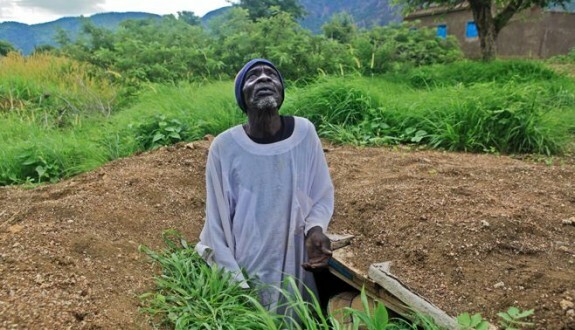 To make matters worse, the overwhelming population of Internally Displaced People (IDPs), particularly from the conflict in Darfur, mean that a lot of land, often fertile, falls into the hands of the government and its foreign supporters. Since it is virtually impossible for the Sudanese population in the border states to generate its own food supplies, it is crucial for aid organisations to intervene, in any way they can. “About 80 per cent of Sudan’s rural population relies on agriculture for their food and income, and if we do not recognize the magnitude of what is happening and act in time the situation will get much, much worse.” – Mr. Abdi Adan Jama, FAO. So what is the UN doing about Sudan’s plight? At the moment it seems the UN’s focus is to spread awareness of the impending food crisis. We hope that the initiatives, combined with the work of influential NGOs such as HART, will provoke the international response that the citizens of Sudan are praying for – before they starve to death at the hands of their government. 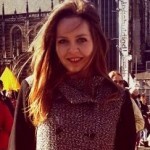 Olivia is a final year BA International Studies student at the university of Leiden, the Netherlands. She has a keen interest in the role of politics and economics in international development, particularly in South and South-East Asia.